The sooner you take your child to see an orthodontist, the better it will	be for them in the long run. Early orthodontic visits help identify potential	developmental problems your child may face and address them now, instead	of waiting until they are teenagers. To help you decide when	the best time is to bring your child in for a visit at our family orthodontist and the benefits early visits provide, let’s look at some frequently	asked questions and their answers. 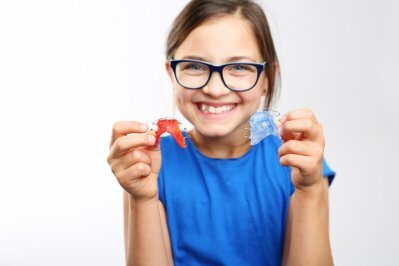 What age is appropriate for a first-time visit to an orthodontist? The best time for a child’s initial orthodontic visit should be by	age seven. However, if your children are eight, nine, or older, and you	missed this early checkup, don’t worry. You can still schedule a	visit for them today and find out if there are developmental problems	that will require orthodontic treatment. Are there any signs parents should watch for in their children? Thumb-sucking or continued use of pacifiers beyond age three or four. The children breathe through their mouths more than their noses. The children snore regularly while asleep. Children have a noticeable overbite or under-bite where the upper and lower	teeth do not come together and the lips cannot close easily. There are excessive gaps in between permanent teeth. The permanent teeth are growing in crooked. The teeth are too close together and overlapping each other (overcrowding). Children’s jaw bones “pop” when they bite, chew, or talk. Children have problems with biting and chewing. Children bite the side of their cheeks frequently. Why take children at this age? Even though your child’s teeth might appear to be straight, there	could be problems you cannot see on the surface. For instance, sometimes	a baby tooth will not fall out. The permanent tooth will still develop	and could grow out in front of or behind the baby tooth or even at an	angle. 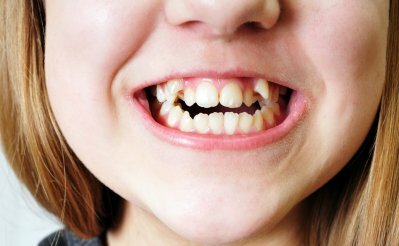 If this occurs, then the other teeth can be pushed out of the way	and become crooked. Another issue early visits detect is proper jaw growth and development. If your child’s jaw is not growing fast enough, yet molars and permanent	teeth are developing faster, it could result in overcrowding of the teeth. 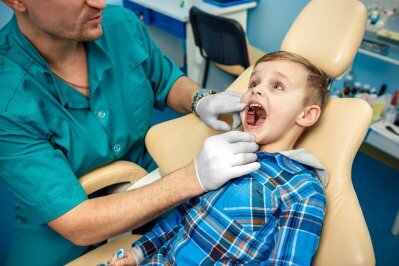 In addition, the bite of the jaw is checked to see if your child could	develop an overbite or under-bite. Should your children’s orthodontist discover potential problems,	then recommendations are able to be made based on the types of issues. 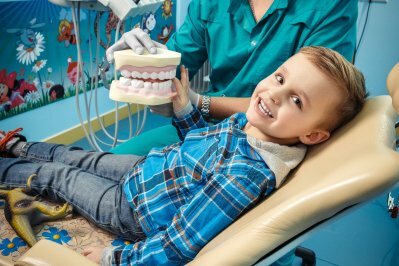 Orthodontists will take into account the ages of your children, their	specific treatment needs, and their psychological development when making	their recommendations. If there are no current issues or problems, then a follow-up visit is normally	scheduled a year or two later. This follow-up visit is equally important,	as it verifies the teeth and jaw are continuing to develop correctly. On the other hand, if there are already current concerns, early developmental	treatment could be recommended. What benefits does developmental treatment provide? Monitor jaw growth and guide its development. Reduce the likelihood of permanent teeth not growing in straight. Address issues with gaps in between permanent teeth. Help children with concerns over the appearance of their smiles. Reduce the likelihood of having to extract permanent teeth later. Help prevent teeth from shifting and becoming crooked. Address current issues with crooked and overcrowded teeth. Aside from the aesthetic benefits of early developmental treatment, correcting	problems can also help improve speech patterns and the ability to speak	clearly and make eating different types of food easier. Furthermore, early	treatment will help your children adjust easier to wearing braces once	they are ready for this part of their treatment. 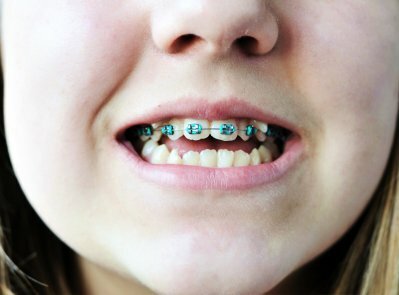 At what age will my child have to get braces? Most children will not get braces until after all of their baby teeth have	fallen out. In girls, this could be around age ten or eleven. In boys,	this could be between ages eleven and thirteen. Prior to getting braces,	their orthodontist may recommend other forms of treatments that will benefit	them once they do get their braces. For early problems with crooked teeth or teeth with gaps, a retainer with	small wires can be made. This retainer is worn over the teeth and helps	guild the developing teeth into a more favorable position. Once they get	old enough and ready for braces, then it could mean they will not need	them as long, compared to other children who did not start treatment until	they were teenagers. Another orthodontic appliance younger children can wear is the clear aligner,	like Invisalign, that fits over the teeth and helps guide them into their	desired locations while slowly straightening them. Clear aligners are	beneficial if your children have appearance concerns, such as being teased	about their teeth or about having to wear a retainer. Why not just wait until they are teenagers before starting orthodontic	treatment? If you wait until your children are teenagers before seeing an orthodontist,	all sorts of problems could have developed. They could have problems with	an overbite or under-bite. They could have crooked or overcrowded teeth. They could have gaps in between teeth. They could have impacted molars. In addition, they could require more extensive types of treatments, such	as having to get teeth extracted prior to getting their braces. Not to	mention, many of the orthodontic problems teenagers have are often easier	to correct if they had started treatment while they were younger. Another reason to not to wait is your teenagers will normally have to wear	their braces or continue Invisalign treatment for two to three years or	longer. If they had seen an orthodontist by the time they were seven,	with regular checkups, their braces or Invisalign treatment could take	as little as a year—possibly two. As you can see, early visits help identify potential problems and develop	effective treatment plans long before your children become teenagers. Plus, bringing your children in when they are younger allows them to start	to develop a bond with their orthodontist and become comfortable with	being in the office. We even cater to “cowards” of all ages, including adults, and	we work with you and your entire family to ensure your visits are comfortable. 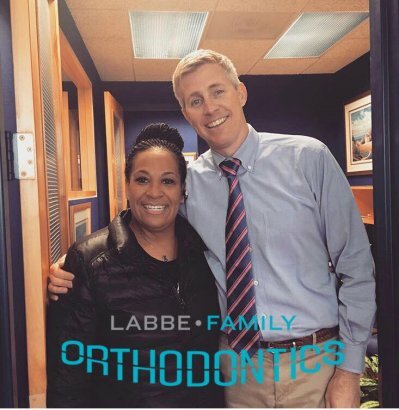 It is for these reasons, and others, that Labbe Family Orthodontics is	known as the “fun orthodontist” in Annapolis, Bowie, Crofton,	and Greenbelt. For further questions about orthodontic treatment for your child or yourself, or to schedule an initial consultation appointment, please feel free	to use our online request form or contact us directly at (443) 603-3448 today!